Max Grinnell is an author, historian, and professor who excels at sharing unique perspectives of American cities. For each of the last two summers, Grinnell has visited Cincinnati to host a series of walking tours that offer a historical look at the city’s urban core. 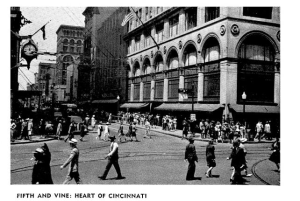 This June, Grinnell is bringing back the tour, which looks back on the Cincinnati of 1943 and compares it to our modern city. 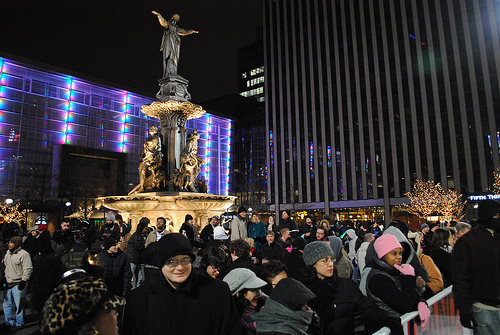 The walking tour is inspired by Cincinnati: A Guide to the Queen City and Its Neighbors, a book published in 1943 for the Federal Writers’ Project. This book was a part of the American Guide Series, also known as the WPA guides, which was a program funded by the New Deal to employ writers during the Great Depression. Today, the book serves as a snapshot of 1943 Cincinnati, when the city’s population was 455,610 and now-iconic structures like Carew Tower and Union Terminal were just a decade old. The 60-minute tour will include many of the same elements as previous years, but will also touch on buildings that Cincinnati has recently lost and others that have been repurposed over time. The tours will take place on June 1st and 4th, and will cost $15 per person. Tickets can be purchased at Grinnell’s website.